If you had to name one prioritized objective that would assure greater success in creating resilience and sustainability for individuals and communities, what would it be? I’ve thought long and hard about this, and I’ve decided that the number one priority should be a focus on maximizing mind-body health, based on the reality that good health provides positive effects in all areas of life. A 1948 statement by the World Health Organization provides affirmation: “Health is a state of complete physical, mental and social wellbeing, and not merely the absence of disease or infirmity”. For instance, consider the proven benefits of exercise in creating and maintaining good health. In order to promote good health, citizens need to be sufficiently motivated to exercise, perhaps even incentivized, and then provided with ample outlets and opportunities. The growing emphasis on walking and biking in communities everywhere is resulting in the construction of more walkways and bikeways. An article in the Engagement section–7 Small Towns Taking Big Steps To Get People Walking—provides some examples of model communities, including Albert Lea, MN, which we visited in June. We enjoyed taking a short walk around the downtown, and a longer walk along some wooded pathways adjoining the namesake lake. On both walks we encountered lots of happy, sprightly walkers. For more information, see Blue Zones Project (https://albertlea.bluezonesproject.com/). Obviously, consuming healthy food and drink rates as the number-one health objective. 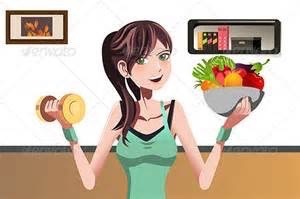 Doing so requires following scientifically established nutritional guidelines that feature a variety of “whole foods”, with an emphasis on fresh vegetables and fruits, with sparing amounts of meat. It also means avoiding so-called “junk foods”, sugary drinks, and excessive amounts of bad fats. Although most of us know what we should do, it isn’t easy to eat and drink healthily. In the past two years, we’ve joined the Eastside Food Coop, where we get organically grown fresh veggies and fruits, and nuts. We also began subscribing to a Community Supported Agriculture (CSA) farm, which, during summer months, supplies us with an abundance of tasty fresh veggies and fruits. It doesn’t take a highly educated professional to understand how focusing on health issues relates to creating overall greater resilience and sustainability. For instance, the need to exercise leads to a walking community, which invariably reduces the need for auto transportation, and driving less reduces the use of fossil fuels and lowers air pollution. Additionally, consuming healthy food and drink, in addition to creating healthier, stronger individual citizens, encourages the production of more locally grown products and enhances the economic viability of the community. Healthier citizens also experience fewer illnesses and accidents, effectively lowering health costs and creating more work productivity. Our community of St. Anthony Village has earned one of the first Minnesota GreenStep Cities, has achieved GreenStep-Three level, and is working toward GreenStep-Four, the highest level so far. The city, population 8,200, prides itself as a walkable city. This is especially so in Silver Lake Village, a combined community that consists of multifamily dwellings, a park with two small ponds, and a business district, where many services are offered (our dental clinic is only a block away). The city is currently working on adding sidewalks in high-use pedestrian zones, as well as some crossways in a few high-traffic intersections. One major goal is to create safe walkways and bikeways to local schools, and progress is ongoing. > ENSIA: Three Things You Must Teach Your Kids If You Care About The Environment (Rebecca Boyles). The idea of individual environmental stewardship is important, but we need to move past this mind-set to address the underlying, systemic ways in which we are failing to teach our children well: deep polarization in politics, the war on science and the death of critical thinking skills. > The Archdruid Report: The Cimmerian Hypothesis, Part One: Civilization And Barbarism (John Michael Greer). A core difference between civilizations and other human societies is that people in civilizations tend to cut themselves off from the immediate experience of nature to a much greater extent than the uncivilized do. Does this help explain why civilizations crash and burn so reliably? As it happens, I think it does. [Modern people are often disassociated from nature, resulting in a malady psychologists label “nature deficit disorder”]. > Information Clearing House: We Own The World: Noam Chomsky On American Empire (Henry A. Wallace National Security Forum-Brave New Films). Many Americans are not accustomed to the idea that America sits atop a global empire, but with military bases and forces spread out across the world, interventions in dozens of countries – there’s simply no other way to describe our “empire.” Is this empire worth building – and at what cost? > Common Dreams: Human Exploitation Of Nature Has Driven Planetary Health To The Edge (Andrea Germanos). To put it bluntly, humanity has been trashing the planet like never before. And unless immediate changes take place, the prognosis for global health and the natural systems on which civilization depends is bleak. > News-Press Now (AP): Annual Checkup Of Earth’s Climate Says We’re In Hotter Water (Seth Borenstein). The NOAA and the American Meteorological Society’s annual state-of-the-climate report, released July 16th, delves into the details of already reported record-smashing warmth globally in 2014, with special attention given to the world’s oceans. The report, a 292-page, peer-reviewed study that involved 400 scientists, said ocean surface temperatures were the warmest in 135 years of records, with the seas holding record levels of heat energy down to 2,300 feet below the surface. Sea level also hit modern highs, partly because warmer water expands. > Minneapolis City Pages: Minnneapolis, St. Paul Among Cities Worst Hit By Climate Change (Michael Rietmulder). Figures, graphs and such indicate that at current greenhouse gas emission levels, Minneapolis and St. Paul are on track to get much drier in the next 50 years, while the Saintly City could be thwacked with more wild storms. Between 1958 and 2012, Minneapolis had a 40 percent increase in those “extreme” storms. Another reason we ranked so high on the undesirable list is what Bill Nye types call the urban heat island effect. > The New York Times: Unraveling The Relationship Between Climate Change And Health (Sabrina Tavernise). “There’s a lot of evidence showing that extreme weather can hurt people, but what we don’t know is whether those effects are getting worse,” said Patrick L. Kinney, director of the Columbia University Climate and Health Program, adding that scientists don’t have the long-term data needed to pinpoint how climate change is affecting health. Still, climate change is a contributing factor. > MinnPost: Community Voices: The Pope, U.S. Conservatives And The Climate Of Capitalism (William G. Moseley). Many U.S. religious organizations of all shapes and persuasions have supported traditional progressive causes such as the labor movement, civil rights and fair trade. The U.S. business community and religious-right Christians have long had a close relationship, with tycoons funding conservative religious groups who preach a libertarian Christian philosophy that justifies wealth accumulation, individualism and small government. > Resource Insights: Has U.S. Oil Production Started To Turn Down? (Kurt Cobb). The drop in overall U.S. oil production (defined as crude including lease condensate) is based on estimates made by the U.S. Energy Information Administration (EIA). Still months away are revised numbers based on more complete data. But, the EIA had already said that it expects U.S. production to decline in the second half of this year. With the end of Iran’s economic sanctions, the oil price is likely to fall further, putting even more pressure on U.S. domestic drillers. > MPR: Community Solar Coming To Xcel Energy Customers (Martin Moylan). Under DFL control, the state Legislature authorized community solar gardens in 2013 and mandated that Xcel Energy buy the power the gardens generate, as part of a plan to increase the electricity Minnesotans get from renewable resources. > Resilience: Don’t Be Fossil Fooled – It’s Time To Say Goodbye (Paul Gilding). It’s time to make the call – fossil fuels are finished. The rest is detail. The detail is interesting and important, as I expand on below. But unless we recognize the central proposition: that the fossil fuel age is coming to an end, and within 15 to 30 years – not 50 to 100 – we risk making serious and damaging mistakes in climate and economic policy, in investment strategy and in geopolitics and defense. > Bloomberg News: Cheap Oil Is Bad For The Economy—At Least For Now (Matthew Philips). Cheap oil means cheap gasoline, and the assumption throughout the oil price rout has been that for the U.S. economy, built on consumer spending, cheap gas is all good. In theory, yes. In practice, it’s been tough to find the benefits in the economic data this year. > The Telegraph: The World Is Defenseless Against The Next Financial Crisis Warns BIS. (Peter Spence). The world will be unable to fight the next global financial crash as central banks have used up their ammunition trying to tackle the last crises, the Bank for International Settlements has warned. The so-called central bank of central banks launched a scathing critique of global monetary policy in its annual report. > Peak Prosperity: All Hail Our Banking Overlords! (Chris Martenson). The bankers and financiers are badly overplaying their hands, again, and people are starting to catch on to the scam. Real wealth is tangible things produced with tangible effort. Loans made out of thin-air ‘money’ require no effort and are entirely ephemeral. That’s what has just happened in Greece. And expect it to happen increasingly elsewhere, as Charles Hughes Smith and I recently discussed in this week’s excellent Off The Cuff podcast. > Common Dreams: Soulless Economics (Robert C. Koehler). We cannot bring about a change in humanity without a change in our economic system, which asks for sacrifice only from those who already have next to nothing and has no language that values generosity. > Resilience: Wicked Problems And Wicked Solutions: The Case Of The World’s Food Supply (Ugo Bardi). I am back from two days of full immersion in a conference on the world’s food supply. The impression I got is that nobody is really grasping the complexity of the problem. In seeking solutions I would try to propose a concept: “in a complex system, there are neither problems, nor solutions. There is only change and adaptation.” As a corollary: you can solve a problem (or try to) but you can’t solve a change (not even try to). You can only adapt to change, hopefully in a non-traumatic manner. > Minnesota Daily: Nature Supports Healthy Aging (Ellen Schmidt). A U of MN study reports that access to blue and green environments — like lakes, parks and gardens — can promote physical, mental and spiritual health in older adults. Researchers hope the study will prompt communities to consider older populations when developing urban areas. > Yes! Magazine: Swapping Screen Time For Getting Dirty: Why Kids Need To Spend More Time Outdoors. (Shannon Hayes). In his new book “How to Raise a Wild Child,” Dr. Scott D. Sampson argues that the current disconnect between kids and the natural world is a threat to their physical, mental, and emotional health. Sampson offers the topophilia hypothesis (love of place): that bonding between people and place offers adaptive advantages to human beings. He believes topophilia can become the foundation for the young generation to regain their connection to nature. > Yes! Magazine: 7 Small Towns Taking Big Steps To Get People Walking (Jay Walljasper). Albert Lea, MN is among the 7 towns featured. Others include: Hamburg, NY; Batesville, AR; Hernando, MS; Hendersonville, NC; Anaconda, MT; and Murray, KY. Learn what these towns are doing to enable greater health and safety for their citizens. > Resilience: Is Another Way Possible? (Bart Anderson). Guerrilla gardening and local consumer-producer networks are redefining life in today’s Greek cities. While the crisis has shifted politicians’ attention away from the climate, “transition and recovery movements” work hard to keep the environment on the agenda. > NPR: Reduce, Reuse, Remove The Cellophane: Recycling Explained (NPR Staff). It’s easy to think we’re being virtuous when we fill up the blue recycling bin and put it on the curb. But it’s clear we have embraced some magical thinking when it comes to what can be recycled. > MN350: Climate Change Activism. For list of activities, see Website.